History said that Portuguese was the first party that made this province becomes important, since their arrival in 1512. Before the Portuguese arrival, this area was just a remote area that never been visited by people. The Portuguese influenced by giving names in some area, putting their language and bringing the Christian missionaries to spread Christianity. Since Indonesia is mostly has Moslem follower; at this province, Catholic is the religion that being held by most inhabitants. The influence for Catholic was spreading since the Portuguese colonization. In 17th century, Dutch tried to take over but little was done to this area, and after all these centuries, the wildlife remains nearly unchanged and for those who prefer rugged, exotic terrain, or an adventure, this might be the perfect place. Although, the area is standing along in one administrative section, the diversity over the culture is can be seen in languages and traditions. Each tribe along the area of the province is having different dialects or even different language. The local inhabitant is about Atoni, Dawan, Manggarai, Sumba and Tionghoa ethnic. The tourism object from this province is mostly coming from the islands itself, especially Flores, Sumba, West Timor and the famous of Komodo Island. 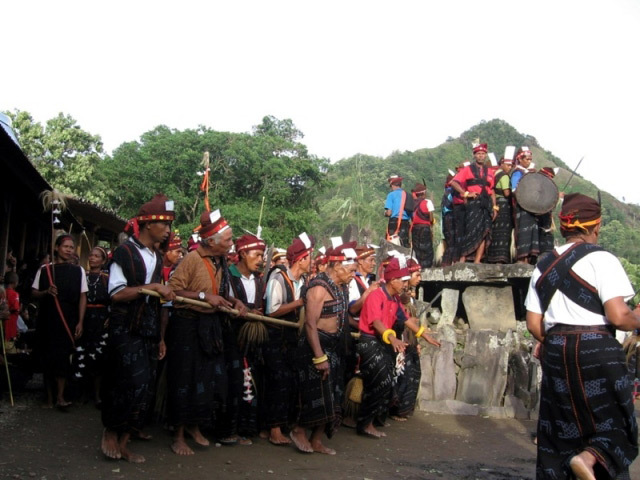 Manggarai tribe is the most inhabitants that live in the western part of the island of Flores and it spread across three districts, namely West Manggarai, Manggarai Regency and East Manggarai Regency.